Before we get started on our Apartment Living tips for pet owners, you’ll want to make sure you follow the rules. 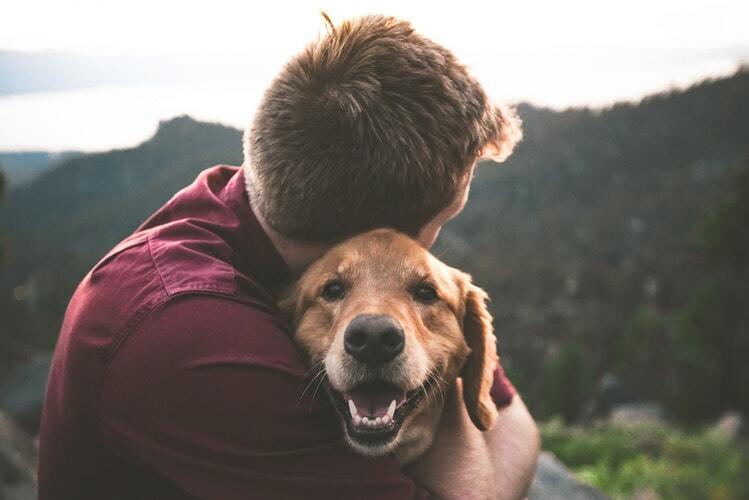 If you’re still in the early stages before owning a pet, make sure you know the pet policy your apartment complex may have. It’ll help prepare you to calculate how much you have to save up in case there’s a pet deposit fee you’ll have to make. It’ll also save you from any complaints and hidden fees that can surge if you don’t follow the correct steps. Of course, getting to know your pet’s personality and habits can take some time. We encourage you to pay attention to how they react to the smaller living space. For example, dogs with plenty of energy can tend to run around a lot which is a signal to keep them away from carpets and furniture that can easily get stained or torn apart. Make sure you pay attention to every detail, after all, they are your roommates! But don’t worry, we’ll make sure to cover some safety tips later in the article. You’ll soon realize that your pets become bored and maybe even sad when you have to go to school, work, or run an errand. It’s natural that they’d want to spend as much time as they can with you since you do become part of your pet’s life. Needless to say, there are going to be those times when your pet’s curiosity might get the most of them and they end up making a mess when you’re away. We suggest you get your pets some fun toys that will keep them from turning your valuables into toys. You can place your pet’s toys in a designated area where it’s safe to make a mess. Of course, toys do get old, so you might want to switch out what toys they play with every once in a while. If you own a cat, you can always take some of your old furniture and cover it in old cloth and toys they’ll love to play with. You can always find a DIY design on Pinterest or purchase a scratching post if you don’t have the time or resources to build one. You can also enclose your apartment’s patio and set up a pet door so that your cat or dog can have a different setting to enjoy. We encourage you to get creative and experiment to find out what works and what doesn’t. Besides, it’s your apartment space, and we want you and your pets to enjoy it. Although your pets may seem to be fine with it, you have to remember every species has different requirements. For example, Husky dogs need a much cooler environment because their fur can cause them to sweat in warmer environments. That being said, make sure you always put up the appropriate amount of food and water for your pets, set the right temperature, and make any important adjustments you might have to make to accommodate your pet. It’ll help them relax and enjoy the setting, allowing both of you to enjoy the living space. Whether it’s potty training or character training, make sure your pets understand right from wrong. This may take some time, but it’ll be the base of your relationship and will also allow you to establish good habits for you and your pet. If you’re potty training, set up a daily routine for your pet’s bathroom breaks. Make sure to stick to the bathroom schedule you set for your pet. Train your pet to only use certain areas of your apartment complex. Just remember to clean up after your pet! It helps keep the environment clean and enjoyable for others. Some apartment complexes might give you a fine if you don’t pick up after your pets! You can also try to keep them away from carpets, rugs, beds, couches, and clothes during the early potty training stages. As for cats, it’s best if you keep their litter box in a safe and private area. Cat’s love their privacy and quickly pick up on where they must use the bathroom. An enclosed litter box can also help you cut down any mess a cat can make in your living space. Keep in mind that there might be other pets living in the same apartment complex. If you have a dog, it’s important that you show your beloved pet around the complex so that he/she can get familiar with it. You should try taking your dog for a walk and allow them to get accustomed to meeting strangers. This should be able to help lower the risk of your pet panicking in public. It just goes back to knowing your pet. You’ll be able to tell what environment is right for them. Plenty of exercises can help your pets adapt to apartment living. Every dog and cat, whether small or large, need some type of exercise routine to maintain a healthier lifestyle. Exercise can help your pets burn any extra energy they may have, which allows them to feel more relaxed at home. It’s also a great way to keep you active and healthy! You can always hire a professional to walk your dog, but where’s the fun in that? Another great apartment living tip for pet owners is taking care of your living space. Here are some small things you can do to help you out. Whether you’re fine with it or not, pets tend to leave unavoidable messes (hair, dirt, etc.) and odors behind. A great way to get around the extra mess is by adding a rug on top of carpet and covering your delicate furniture. It’ll help make it easier to clean since all you’d have to do is remove any covers or rugs, shake them off outside, and throw them into the washer. It’s very helpful to keep a de-shedding tool around in case your pet’s hair ends up on your clothes, furniture, and other valuables. Animal hair tend to be more difficult to take off so you’ll want to buy the best pet brush you can find. We don’t recommend lint rollers since your pet’s hair can hook onto your clothes. You’ll want to keep your apartment extra tidy if you don’t want to live with a strong odor. You can also buy air fresheners to help you cancel out unwanted smells. Just remember that air fresheners can’t cover it all, so you’ll want to make sure you clean up well. We’ve all caught our pets in the act. Your pet might pick at any cords that might be hanging around, and you can end up without a television or charger in no time. Make sure you cover them up or keep them out of your pet’s reach if you don’t want to risk any of your important stuff. You might not always have a choice to pick what apartment you live on, but make sure you choose one on the first floor if you do. The best thing you can do to avoid complaints at an apartment is living on the first floor. It’s very easy to hear every footstep your upstairs neighbors take in an apartment complex. Just imagine how many steps your four-footed friend might take! It also cuts down on the extra steps you’d have to take during bathroom breaks and walks for your dog. This is extremely helpful when nasty weather and the winter time comes around. We know how little you’d want to get wet or feel cold when you’re inside enjoying a warm home. We hope our apartment living tips for pet owners were helpful! Are you looking for something to do in the Huntsville area? Check out our Student’s Guide to Fun Things to Do in Huntsville, TX.